The 31st annual Bug Buffet will be held Feb. 14 in the Strand Union Building, Ballroom A, from noon to 4 p.m. The event will include an introduction by President Waded Cruzado, informational booths and, of course, free samples of edible insects prepared in a variety of delicious recipes through the creative efforts of Amber Wivholm from MSU Culinary Services and under the careful supervision of MSU’s sanitarian Dustin Schreiner. Last year we estimated 1,000 guests attended, and we are hoping for more than 1,200 guests this year. 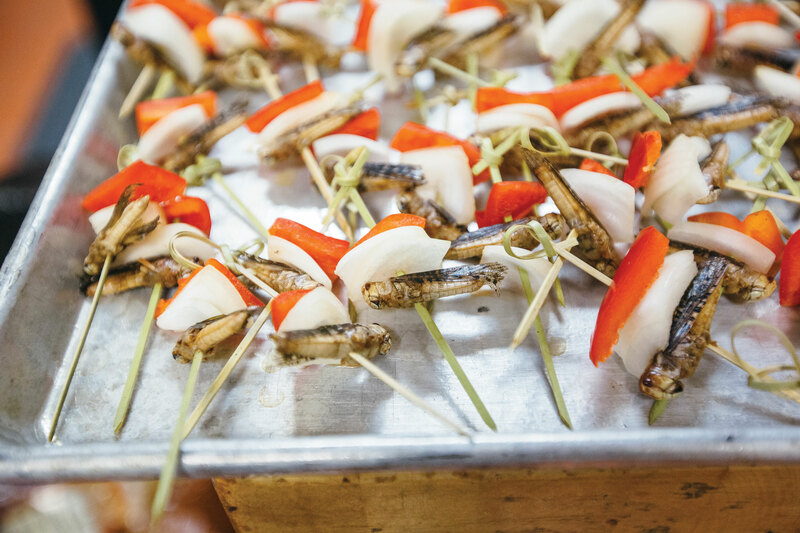 Guests can visit information booths about the nutritional and environmental benefits of edible insects and a variety of vendors in or related to the industry will also be on hand. There will be a special presentation starting at 11 a.m. for local preschool students and for high school students involved in the National Restaurant Association ProStart Culinary Program. Health and Human Development faculty member Dr. Christine Lux is spearheading a service learning opportunity for her Early Childhood Education students to prepare educational materials for the youngest Bug Buffet visitors. 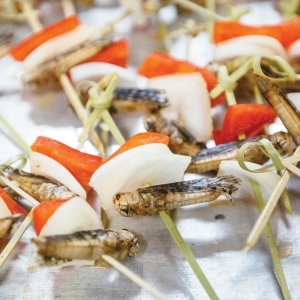 An important component of the Bug Buffet is the voluntary participation from Bug Buffet visitors to add to our academic knowledge about attitudes towards edible insects by completing a short survey. Similar data has been collected at each Bug Buffet across the decades.